If you’re in need of a new tablet, or if you’re looking to get an early jump on your holiday shopping, today is your lucky day. 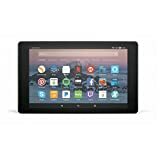 Amazon just kicked off a sale on its two most popular Fire tablets, and these prices are completely unprecedented. That’s the good news. The bad news is that this sale is only for Prime members — though you can of course sign up for a free 30-day Prime trial if you’re not already a subscriber. 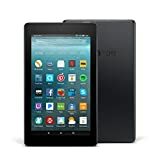 From now through the end of the day on September 16, Amazon is slashing $15 off the price of the All-New Fire 7 Tablet with Alexa and $25 off the All-New Fire HD 8 Tablet with Alexa. That makes the Fire 8 HD just $54.99, while the Fire 7 drops to just $34.99. That’s right, $34.99 for a brand new fire tablet with Alexa! Check out all the details below.